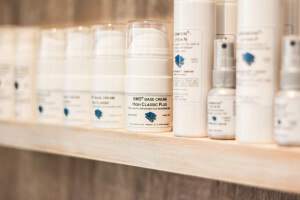 Your skin and the results we can gain for you is a driving focus at La Beauté. We work with module products that can be customised and personalised to suit each and every client, their conditions, concerns and individual wants. dermaviduals is world-renowned for its ingredients and delivery systems. Using only pure ingredients, with all products containing NO fragrances, preservatives, emulsifiers, colours, mineral oils, silicones or amines we can be certain that what is being applied to the skin and penetrating to the skin cells is only pure actives. Delivery of these pure actives to the desired cellular level can be assured via dermaviduals unique skin mimicking encapsulation process. Pure actives are encapsulated in skin mimicking creams which when applied to the skin surface fuse with the skin’s natural barrier layer to enable penetration of the active ingredients and providing accurate delivery to the responsive cells. dermaviduals, also goes beyond just skin care. dermaviduals doesn’t just have a modular skincare range it also has a modular mineral make-up range, dermaviduals deco range. The dermaviduals deco range is a fully customisable mineral foundation that allows us to create a personalised foundation for any skin complexion; ensuring a perfect and flawless match. This specialised makeup range is perfectly aligned with dermaviduals commitment to corneotherapy and high quality ingredients, actively working with the skin as opposed to masking skin problems. For more information or to experience dermaviduals please make contact with us in salon. 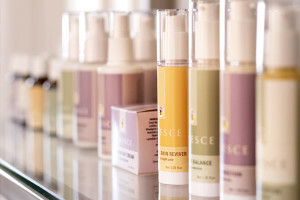 Janesce skin care is created exclusively from plants, herbs and flowers and works on an extremely simple principal, generating an ultimate skin appearance. Janesce keeps the skin healthy and functioning by mirroring natural activities in your skin. Janesce’s simple principle of ‘wet the skin and lock it in’ ™ provides hydration on the surface whilst the organic herbs and plant extracts absorbed deeper into the lower layers of the skin ensuring that all layers of the skin retain hydration. The hydration is then ‘locked in’ with a Janesce mist or moisturisers to ensure that all moisture is retained at all levels within the skin. The mist and moisturiser are rich in organic plant extracts, to nurture, soften and protect the skin’s barrier and continue the principal of corneotherapy. Janesce applies the same principles of correcting nutritional balance both topically and internally. Janesce lifestyle and vitality programs are internal nutritional support guides, which are available to give your skin internal support, targeting a specific skin condition or to ensure you feel your best both inside and out. When the skin is hydrated it is healthy, new cell growth is encouraged, premature ageing slows and you look good and feel even better. This incredibly simple process is a MUST for any skin regime. For more information or to experience Janesce please make contact with us in salon. Prologic is a professional result-based skincare range which is formulated and created completely here, in New Zealand. This range uses high levels of ‘clean’ (no mineral oils, fragrances, fillers or emulsifiers) vitamins, antioxidants and anti-ageing peptides to support, balance and improve the skin. By using real ingredients and being created in New Zealand it is perfectly suited for the New Zealand skin types and the common skin concern / conditions we see due to our environment. This advanced skincare provides real results! For more information about Prologic please make contact with us in salon. Curtis Collection is a salon specific cosmetic range, created and designed to compliment your skin care regime. 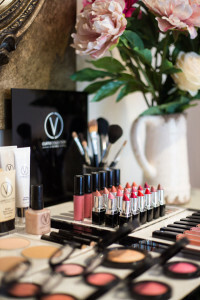 Each product contains an array of vitamins, antioxidants, minerals and SPF protection to ensure that your make-up looks great but is beneficial to your skin’s health. It promotes fantastic staying power, delivers a flawless radiant finish and enhances your natural features. For further information or to experience CURTIS COLLECTION by Victoria please make contact with us in salon. Nothing taste better than healthy feels. our food can be difficult. Our diets often lack in vital nutritional ingredients this not only creates a long list of internal issues but also effects our skin. At La Beauté we not only provide you with topical support for your skin conditions and concerns but also an internal option with our dietary range Bestow. Bestow is an edible organic range that has three simple products that work in synergy to help both internally and externally to improve cellular health and lead to a healthier you. Along with the three products Bestow also have beautiful cookbooks and recipe cards that are gluten free, dairy free and refined sugar free. 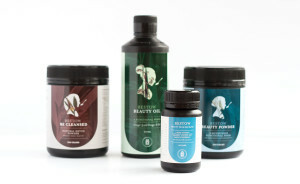 Bestow Beauty Oil is a blend of organic, unrefined, extra virgin oils cold-pressed from flax and safflower seeds, to provide you with a rich level of Essential Fatty Acids (EFAs -Omega-3 & Omega-6). EFAs are essential for full body cellular health and bodily function, although we are unable to naturally metabolise them and rely on gaining them through our diet – due to modern diets the amount gained is often limited and therefore much of society is EFA deficient. Bestow Beauty Oil can be added to your smoothies, mixed with yoghurt, added to raw cooking or replace or added to salad dressings -options are endless but to inspire you every time you purchase a bottle of Bestow Beauty Oil you receive a free recipe card. Bestow Beauty Powder is a delicious blend of nutrient-rich plants packed full of minerals, vitamins and amino acids. With a blend of flaxseed fibre, kelp, spirulina, wheatgrass, alfalfa, coconut, blackcurrant extract and pumpkin flour it is the nutritional building blocks your body needs to help with skin, body, hair and nails. One tablespoon of Bestow Beauty Powder added to a smoothie, juice, yoghurt or sprinkled on cereal, soup, stir-fries or added to baking provides you with your daily ‘super-foods’. Bestow Be Cleansed is a natural detox powder to detoxify, purify, and eliminates unwanted toxins from the body. Be Cleansed includes organic flax fibre, sunflower seeds, slippery elm, almonds, citrus pectin, ginger and liquorice which naturally detoxifies the bowel and liver, gently eliminates toxins, soothes the intestinal tract and promotes healing of the gut lining. The powder is added into your food in the same format as the Beauty Powder. There are two cleaning programme options available depending on the results you want to achieve and the time and energy you have to dedicate. Full information on both programmes along with instructions are given with your purchase. For more information or to experience Bestow please contact us in salon.